Say thank you or send a kind word with a pop of color and style. 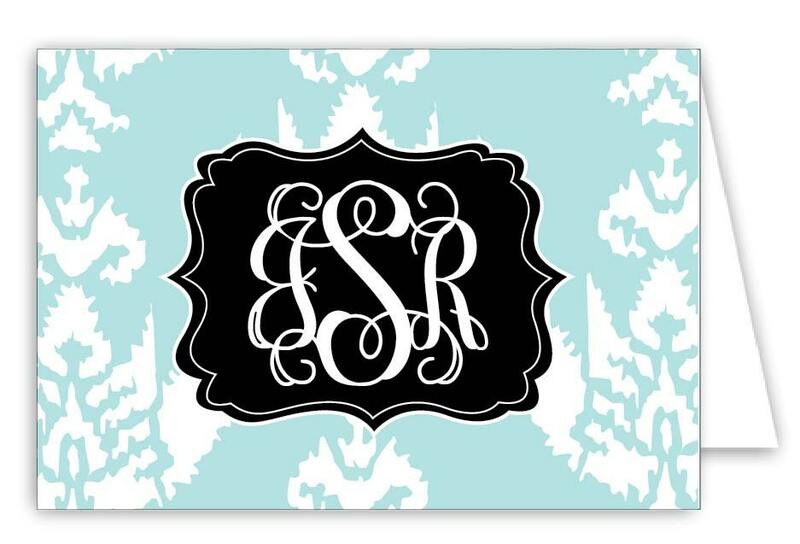 These custom Ikat Folded Note Cards can be printed with a monogram (aSr), Name (Jennifer Smith), family name (The Smiths), or whatever you choose. 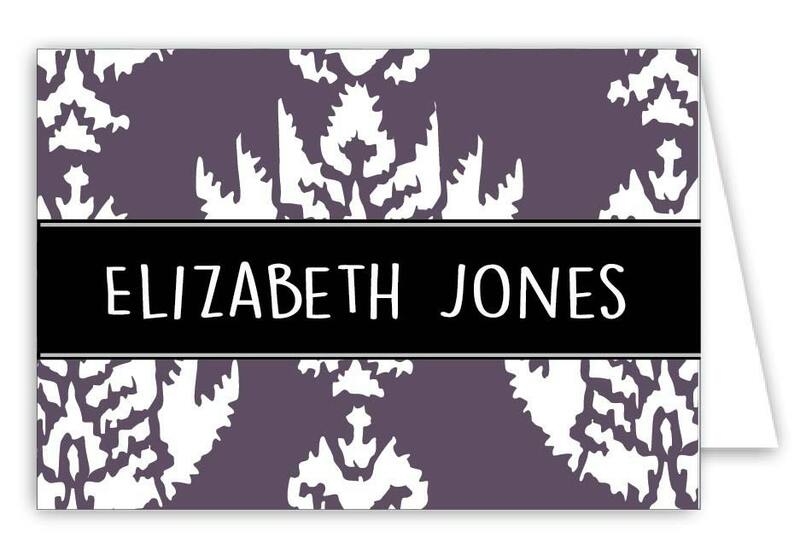 You can also choose the colors you would like for the design and personalized info. Please include this information in the note section with your order. Set of 30 heavy white card stock note cards with white envelopes. Notes measure 5.5"x4" and are blank inside. 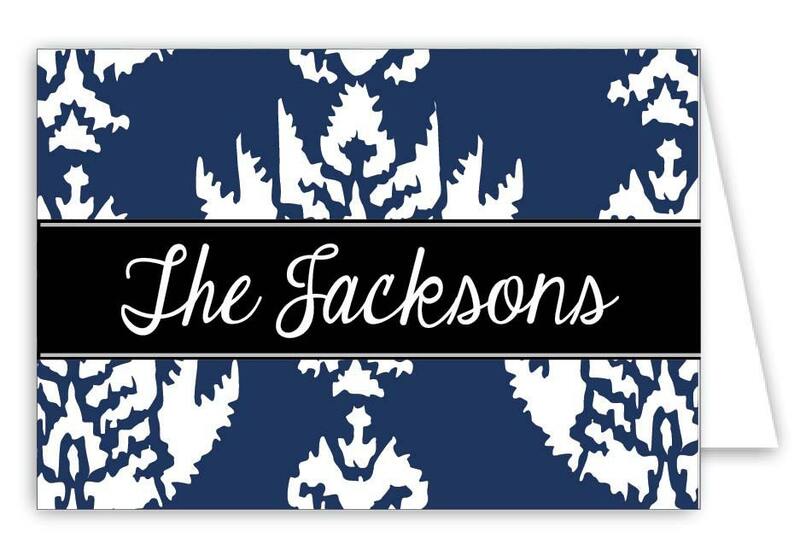 We custom design cards to order and we are happy to send a proof for approval before printing. Proofs are typically sent in 1-3 business days. If you'd like to hurry the order through and skip the proof, please let us know if the note section. After proof is approved, orders typically ship within 3 business days. Ship time is typically 5 business days, so allow 2 weeks for delivery from start to finish. Rush shipping is available for an additional charge. Thank you for shopping with me! Credit cards and PayPal accepted. Orders may be canceled before proof has been approved. Personalized items typically arrive within 2 weeks of purchase date. We cannot offer refunds for personalized items as they are made to order and cannot be resold, however we want you to be happy with your purchase. Please contact us with any concerns. Proofs for personalized items will be sent within 3 business days.